The recipe comes from my friend, Heather, who made them for a bake sale last year and mentioned they were her husband's favorite. I took one bite and was in cookie heaven. I have looked for other recipes in my usual sources - Ina, epicurious, Martha, and a few trusted baking blogs, but none really seemed to knock it out of the park like this recipe. Maybe it is the addition of the fresh ground, roasted peanuts, or the generous quantity of brown sugar, who knows, but they are spot on. 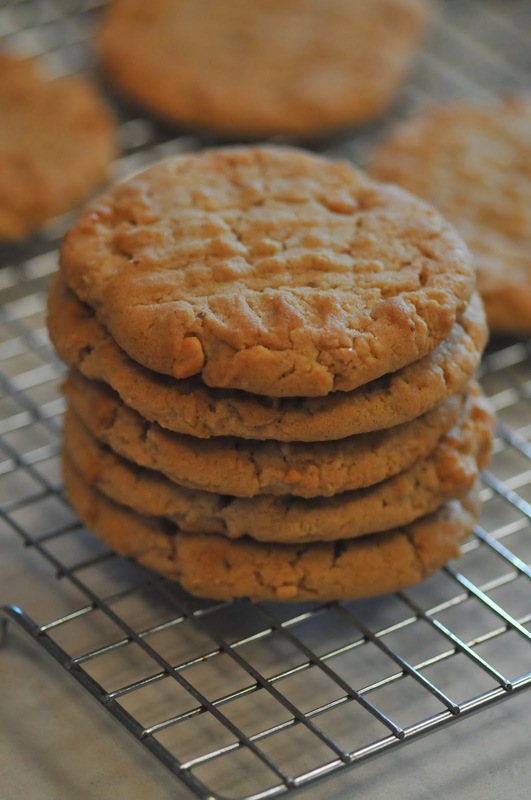 Just enough crispiness around the edges, but chewy in the the middle. Loads of texture, a nice balance of salty and sweet. These cookies can do no wrong. Preheat oven to 350, place rack in middle. Line cookie sheets with parchment paper. Whisk together flour through salt, set aside. Beat butter and sugars in an electric mixer fitted with paddle attachment for 5 minutes. Beat in peanut butter, then eggs, one at a time, then vanilla, until fully incorporated. With mixer on low speed, slowly add dry ingredients until just combined. 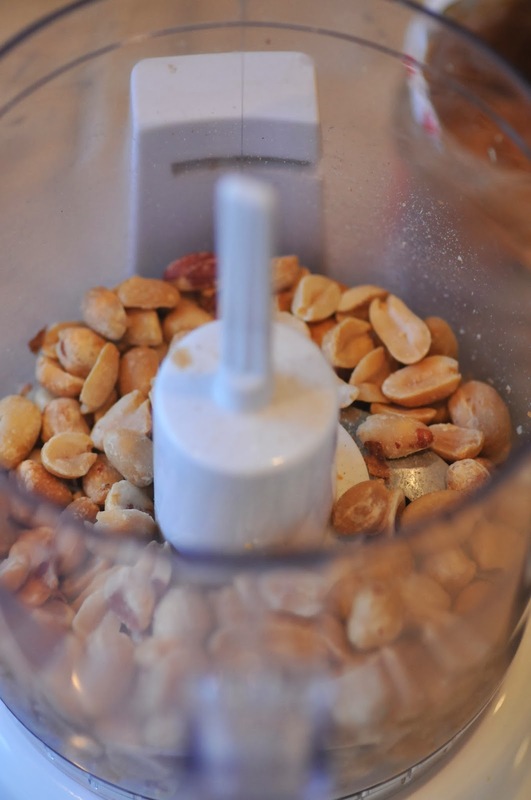 Use a wooden spoon or spatula to finish mixing, making sure it is all combined, then fold in ground peanuts. Working with generous 2 TBS at a time, roll dough, with your hands, into balls and place on parchment lined baking sheet. (careful to space cookies 2.5 inches apart) Add criss-cross pattern on top using the tines of a fork. Bake cookies for 10-14 minutes. Mine took 13 minutes, to just turn edges golden. (I allowed my cookies to sit in cold garage for about 15 minutes before baking. This is not necessary but might be why they took a bit longer to cook.) They will not look completely cooked when you take them out of the oven. 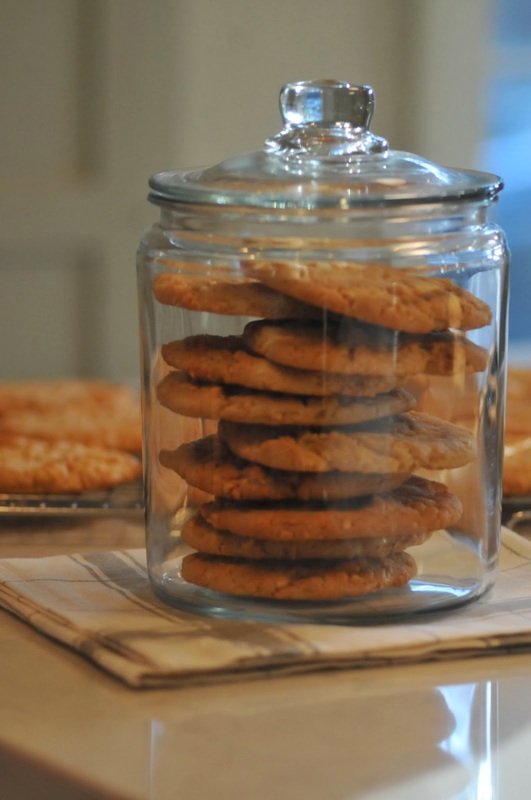 Remove from oven and let cookies set on pan for a few minutes before transferring to a cooling rack. I'm so glad you posted this recipe! Showed it to Mr. And we both agreed that those will be made this weekend. These look good! Where are you from? I am in Minnesota and it was 18 below this morning! Yup...had enough! Thanks for all your good recipes! Thanks for the recipe, Tessa. 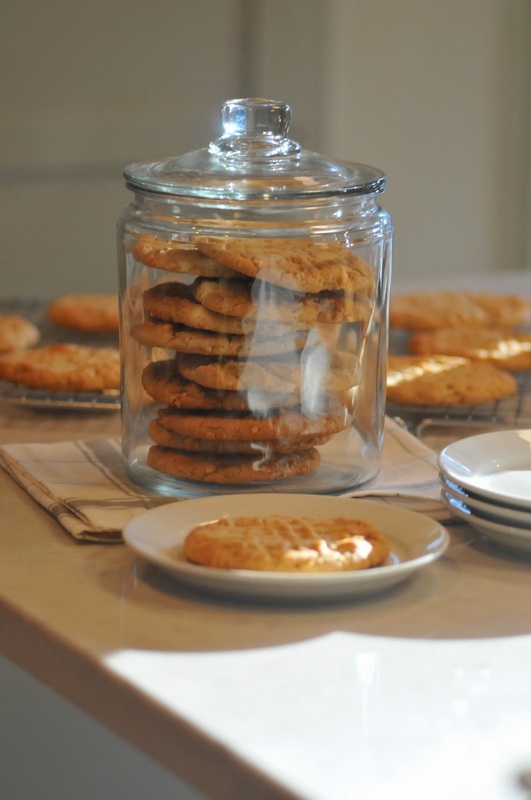 I made these last night and I can't stay out of the cookie jar! They are delicious. This recipe is a keeper! Tessa, thank you so much for sharing this recipe! Made them last night and they are delicious! This recipe is a keeper!